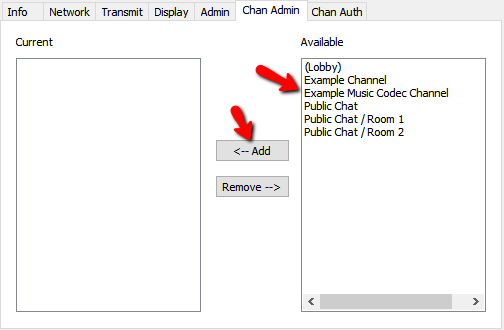 This tutorial will go through the steps of Assigning Channel Admins for your users inside of Ventrilo. 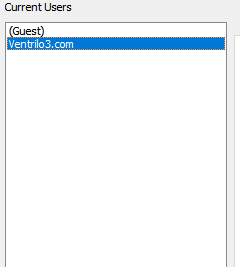 Right click anywhere in the white space in the main Ventrilo screen to open up the menu. 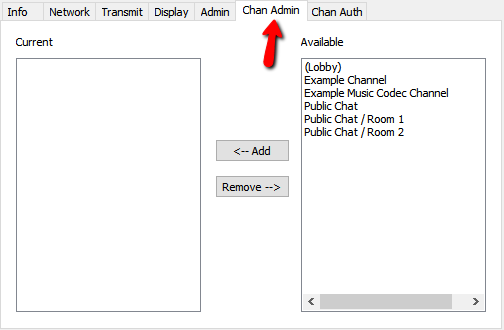 Navigate down to "Server Admin"
This assumes that you already have a Username created for the person you want to assign channel admin to. 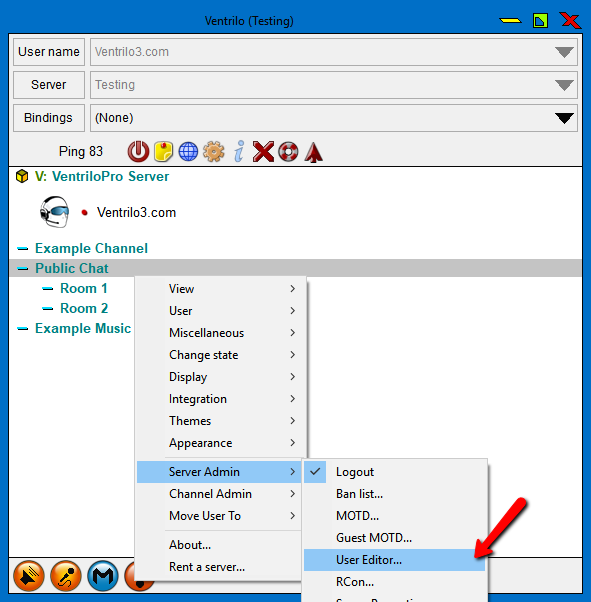 If you do not have a user created yet you can check our other Ventrilo tutorials and come back to this step once you have done so. Click the update button in the bottom right to finalize the settings for the user.